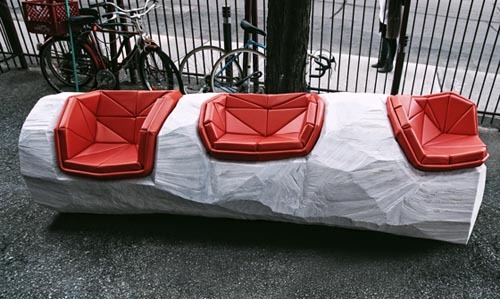 [Image: Log Chop Bench by the Practice of Everyday Design]. 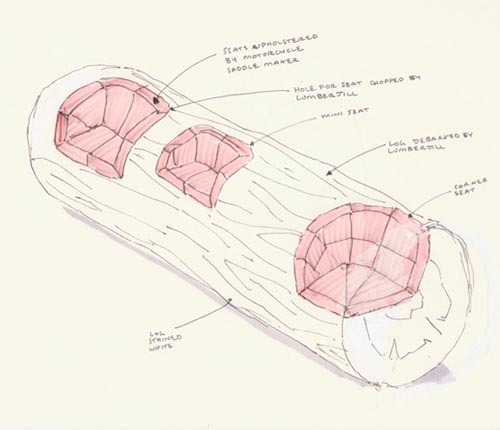 For their project Log Chop Bench (2011), the Canadian design firm The Practice of Everyday Design used "a logger's brute strength and surgical precision to carve out seats on a reclaimed log." 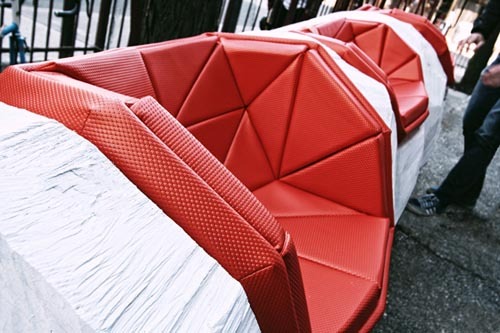 Seats made from "fine, hand-sewn upholstery by a motorcycle saddle maker" were then added to the spaces chopped into the log, creating a surreally massive piece of high-end furniture. 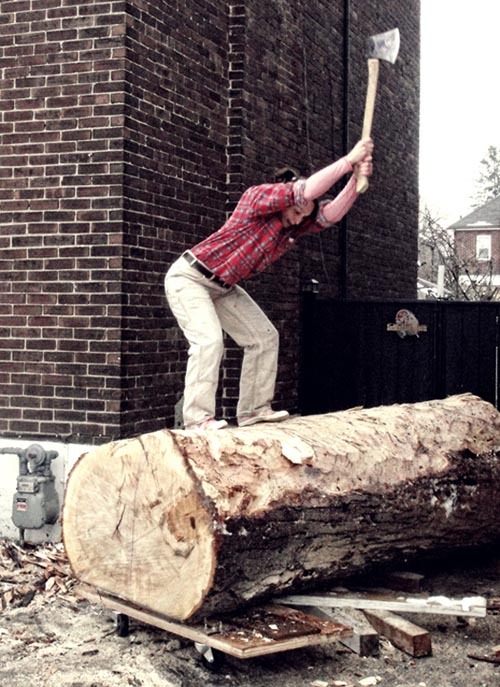 Here is the log's chopper—a lumberjill—in action, as well as the sketch it was all based on. [Images: Log Chop Bench by the Practice of Everyday Design]. I would love to see a movie theater or lecture hall furnished with two or three dozen of these, with higher backs for long-term seating but each individual perch unique. 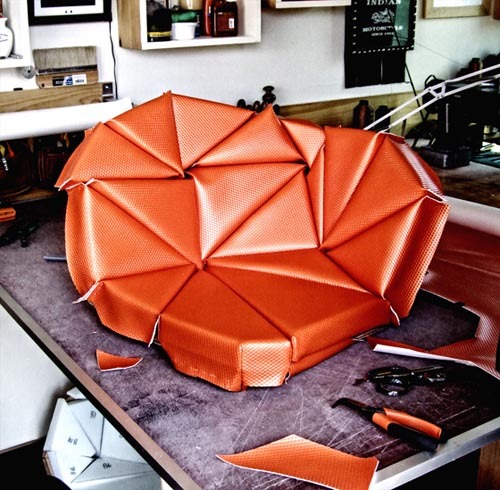 Other projects are viewable at the Practice of Everyday Design's website. What a concept- an axe and no dirty nasty chainsaw. Is that not retro or what. To put it simply, "That's kinda cool".